PARIS (AP) — A French court on Thursday convicted a French-Algerian man of terrorism ties but found him not guilty of complicity in his brother’s deadly attacks on a Jewish school and French paratroopers. Abdelkader Merah was sentenced to 20 years in prison by a Paris court Thursday after a tense and emotional trial over his younger brother Mohammed’s killings of three Jewish schoolchildren, a teacher and three paratroopers in the southern Toulouse region in 2012. That marked the first of what became a wave of attacks in France by homegrown Islamic extremists. The trial was the only opportunity for families of victims to seek public justice because Mohammed Merah was killed by France’s police special forces after a 32-hour televised standoff in Toulouse in March 2012, days after his deadly rampage. Abdelkader Merah, now 35, was accused of radicalizing his younger brother but has always denied helping Mohammed prepare the attacks. After eight hours of deliberations, the five professional magistrates convicted Merah of a lesser crime — taking part in a criminal terrorist association with his brother and others. But the court acquitted him of the most serious charge, complicity in the terror murders of Mohammed. Presiding judge Franck Zientara said there is no proof Abdelkader Merah helped his brother perpetrate or prepare for his nine-day shooting spree. “Abdelkader Merah shared his brother’s motives but none of the elements in the case file or at the trial shows that he knew of the targets and crimes of his brother,” Judge Zientara said. The verdict was calmly received by the victims’ families who were sitting on the first benches inside the courtroom, even if disappointment and sadness were reflected in the tears of mothers of two murdered soldiers. But, outside the courtroom, the defense lawyers were greeted by boos and shouts from part of the audience, who had come in large numbers to attend the verdict hearing. Some of the plaintiffs’ lawyers also expressed disappointment at the partial acquittal. Co-defendant Fettah Malki, a 35-year-old Algerian national who moved to France as a child, was sentenced to 14 years in prison after also being convicted of taking part in a criminal terrorist association. He was found guilty of providing weapons, ammunitions and a bulletproof vest that Mohammed Merah used during his rampage and the standoff with the police. Malki has maintained he was unaware of his friend’s deadly terror plot. The public prosecutor had asked for the maximum sentences for the two defendants: life imprisonment with 22 years before any possible parole for Merah, and 20 years in prison for Malki. Both the prosecutor’s office and the two defendants have 10 days to appeal the verdict. 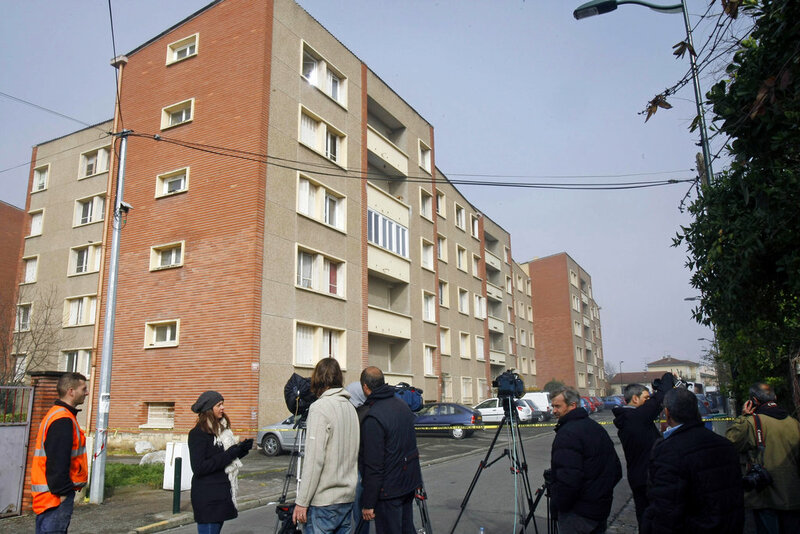 The Toulouse shooting spree was to mark the start of an era of homegrown jihadi violence in France. The period since the 2012 attacks has seen an upsurge in deadly attacks in the country, many of them carried out by young Muslim people born and radicalized in France. Tags: Paris. Bookmark the permalink.